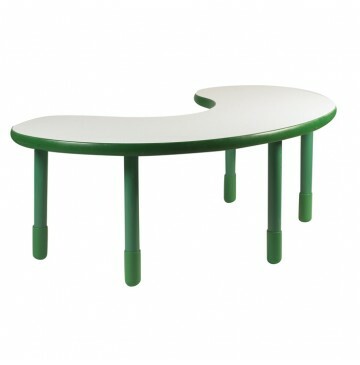 BaseLine Teacher/Kidney Table in Shamrock Green with 20″ Legs. Angeles BaseLine tables are durable and built to last with no exposed hardware and rounded edges. Features Protective boots help prevent sliding, reduce noise and prevent rust. The tables are easy-to-clean with laminate surfaces and waterproof edge trim. 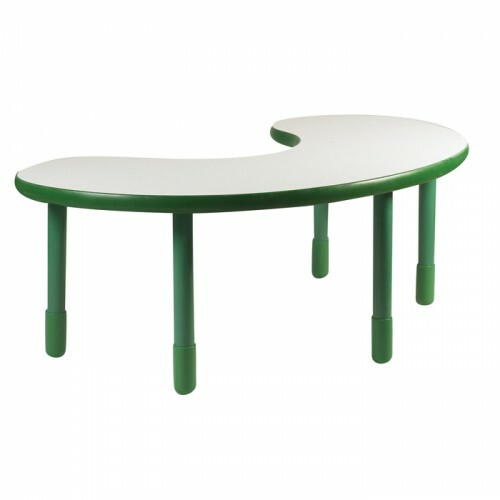 Kidney table has a white top table with Shamrock Green trim.